Easy WMS can control a manually operated warehouse run by paper or radiofrequency devices, a mixed warehouse or a large automated warehouse with the same efficiency. What does Easy WMS bring to your business? Flexibility, adaptability and scalability. A capacity to adapt to changes stemming from new technology, shifting demand, higher sales, etc. Control. Always know what is in stock, where it came from, where it is located and where it is going. Real-time inventory control. Customer service. Offer high quality customer care, with on-time deliveries that are error-free. Manage workflows. Streamline product flows and information. Integrate with any ERP. Better process coordination, from manufacturing to the delivery of goods to the end customer. Profitability. A fast ROI, thanks to immediate benefits to operations. Lower logistics overhead. Optimise your work force and handling costs. Exact, high-speed picking. Better pick times and a huge reduction of errors. Automation of the flow of information and processes. Get real-time updates about throughput, which will speed up critical decision making. Evolution. It adapts to the growing needs of your business or market trends, such as omnichannel marketing or e-commerce, streamlining orders picked by waves and cross-docking. Easy WMS is a powerful, versatile software, with multi-owner, multi-site and multi-language functionalities, which streamlines warehouse management, no matter the size or type of warehouse you are running. 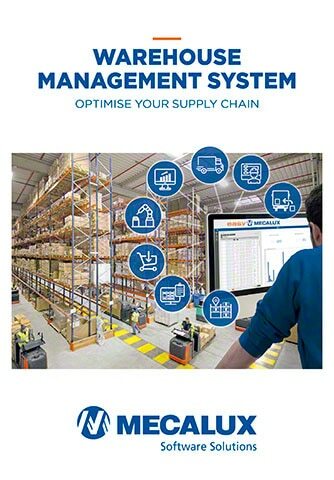 It controls, coordinates and manages all movements, processes and operations, multiplying profitability in all areas: receipt, storage, picking and dispatch of exit orders. In the on-premise model, both the software and the hardware required to run Easy WMS must be set up in a customer’s installation. In the control and management hierarchy, Easy WMS is located immediately below the company’s global management system (ERP) from which Easy receives direct orders about operations that must be carried out (planned inputs, orders to be dispatched, etc.) and to which Easy sends information about operational outcomes. Communication is direct, without intermediate layers and with minimum errors during data transfer, thus achieving top security of information and stability. Easy WMS comes in three different packages, to suit a company’s specific business requirements and to reduce setup costs. You can upgrade your package at any time. Ideal for SMEs who need a standard, yet powerful warehouse management software. Designed for SMEs that need more advanced functionalities. Designed for companies with complex logistics requirements and those which need a highly customised setup. Our quick setup means it is business as usual. Includes sophisticated functions and the possibility of expanding via additional modules. Get fully customised software and one compatible with all the tools and apps of the WMS. Find out more about our product, customer reviews, real life examples, related articles, etc.